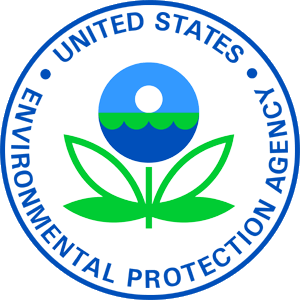 "The federal Environmental Protection Agency is moving forward in its efforts to clean up a Superfund site on Fisher Street. The agency has drafted a “Community Involvement Plan” and is beginning its preliminary investigation of the BJAT, LLC property. Marilyn St. Fleur, a community involvement coordinator with the EPA, said the agency wants to learn more about the town, as a way to better inform the community as the process advances. “It’s about providing access to accurate and timely information, and provide opportunities for the public to be actively involved,” she said. “We did the Community Involvement Plan early on in the process - we usually do it a bit later." "While nearly 300,000 Massachusetts students get free or reduced-price lunches at school, it’s often a challenge to reach them during the summer. “Low-income children are really at risk for hunger and malnutrition during the summer months,” said Jordan Smith, community relations coordinator for Project Bread’s Child Nutrition Outreach Team. Last year, federally funded free summer meals programs provided an average of 53,000 lunches per day to children statewide. That represents about 18 percent of students who received free or reduced-price lunch during the school year. The U.S. Department of Agriculture provides reimbursements to organizations that serve breakfast, lunch, dinner or snacks through the federal Summer Food Service Program. The state Department of Elementary and Secondary Education oversees the programs in Massachusetts, and receives technical assistance from Project Bread, the nonprofit that organizes the annual Boston Walk for Hunger."